I would like to receive ongoing communications from Oracle Service Cloud. Don't have an account? Join now. The page will refresh upon submission. Any pending input will be lost. 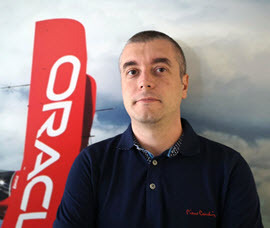 Senior Technical Support Engineer, Catalin Hurjui, recently reviewed OSvC Environment Requirements in a Technical Support Webinar and responded to questions posed by participants. If you missed the webinar, please click here. Interested in reading through his slide deck? Click here. To watch past webinars, register for upcoming events or suggest topics for future webinars, please go here. In order to post comments, please log in. If you do not have an account, create one here. Viewing our site using a mobile device? Our mobile pages are just a tap away.